I just want to say thank you to Dr. Jean for the amazing work he did. The stitches have been looked at by a number of doctors at this point as part of the review by the medical group affiliated with Rutgers’ athletic department, her primary care physician, and the plastic surgeon who is removing the stitches. Every physician who has seen Dr. Jean’s work have commented on how beautiful the work is. Various doctors have actually been called in from other departments to view Dr. Jean’s work because of how highly it was regarded. My daughter really appreciates how quickly Dr. Jean was able to get to the hospital and that he did such an incredible job. Dr Jean and his staff are fantastic. My young daughter needed her earlobe repaired after her earring tore through. Her anxiety was very high about the procedure. Dr. Jean was so kind and gentle and patient with her. When we walked out, she said "I like that doctor a lot!" Besides his amazing bedside manner, he did outstanding work repairing her earlobe. His staff was very friendly and helpful. Thank you to Dr Jean and his entire staff for turning this terrifying (for my daughter) experience into a positive one. I fell rock climbing over 30 years ago and have had a lot of surgery...a lot, and I have never encountered a doc & surgeon like Dr. Jean -not only is he incredibly talented, he has also consistently treated me almost like I'm a member of the family and I see that in his encounters with other patients and his staff who are also equally warm and welcoming. What a different experience it is to feel like I matter to the doctor taking care of me. I first met Dr. Jean when I ended up in the ER with a badly split lower lip and Dr. Jean was able to return the mess I had made of my mouth into a lower lip again, and I could hardly tell her it had been terribly split. Just last month I had a car accident and broke some bones in my hand and I was fortunate that Dr. Jean took on my case. My hand has required two surgeries and Dr. Jean has treated me with kindness, compassion and the utmost respect for me, my injury, my questions and concerns. And, truthfully, I know that I'm not the easiest of patients and yet he never makes me feel bad about that. I only wish that all docs were as talented in the work they do and in the understanding of the kind of support and understanding patients need. He really is the BEST in every way! 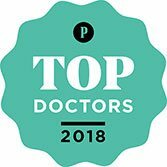 Dr. Jean and his staff are absolutely amazing! I came to Dr. Jean after my 1 1/2 year old son had an accident that required stitches on his face. I was impressed from the very beginning - a staff that is warm, welcoming, makes time for you within the hour, and takes stress out of a potentially scary situation. Dr. Jean was thorough and efficient in explaining our options and ultimately providing the care. He has a warm bedside manner, is professional, and is very good at what he does. I was amazed at how well everyone handled my son before, during, and after his stitches. Dr. Jean was able to complete everything quickly and did a wonderful job handling a squirmy, screaming toddler. Our follow up appointment was just as quick, easy, and pleasant. I could not recommend Dr. Jean and his staff more highly. I'm so glad we ended up in his office that day. I can't begin to say enough wonderful things about Dr. Jean. He did an impeccable job repairing our 10 month old sons head after a pretty sizeable dog bite. He answered every question with patience and care. A few days post-op he personally texted us to check on our son and his progress. I can't begin to tell you how comforting that is to first time parents knowing that their doctor has a genuine interest in his patients and their well-being. Even though we came to Dr. Jean in an emergency situation, I can't recommend him and his skill enough in any situation. I would definitely trust in Dr. Jean again and again! We are so fortunate that Dr. Jean performed surgery on our 5 year old son, because had any other surgeon been called, I am not sure we would have had the same amazing results. Our son was in a sledding accident that resulted in a trip to Bryn Mawr ER and 40+ stitches in the corner of and below his eye. Dr. Jean's attention to detail and thorough pre- and post-surgical consultation made two nervous parents as comfortable as could be considering the situation. We were assured by a number of nurses and hospital staff that our son was receiving the best possible care with Dr. Jean and that if they had a choice in a plastic surgeon, Dr. Jean is whom they would choose. His credentials are impressive but unsolicited reassurances from his colleagues mean a lot more when you are trusting your child to someone else's care and expertise. A few months post-accident and our son only has a small scar that is still healing and we couldn't be happier. We are extremely impressed with Main Line Plastic Surgery and would highly recommend Dr. Jean and his staff. Our 3 year old had an accident that caused a deep facial injury. Another mom witnessed the accident and suggested we head to Paoli's ER because we may need plastic surgery. In my frantic state, I wouldn't have thought of that. We let them know right away that we'd like to consult with Plastics and they reached out for us. The nurse told us they had called Dr. Jean. She explained he was a great plastic surgeon who comes in for these type of emergencies even when not on call. When we met Doctor Jean he was so great with our daughter who was so frightened. I was scared. She was scared. And my husband didn't let it show but he was too. The best thing Dr. Jean said to me was "I have four little girls and I will treat her they way I would treat my own". I instantly felt relieved. He was so great with my daughter. She made it through 25+ stitches like a rockstar thanks to his care and comfort. We also have been very appreciative of his close follow up. We highly recommend Dr. Jean.